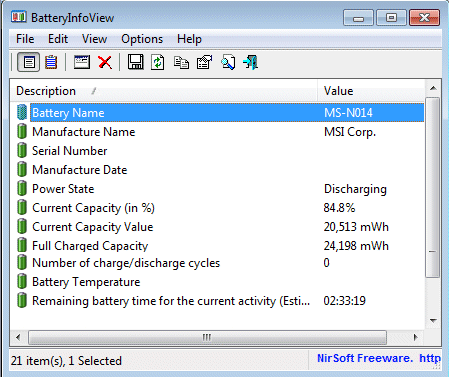 BatteryInfoView also provides a log window, which adds a new log line containing the battery status every 30 seconds or any other time interval that you choose. Battery Information: (Press F7 to switch into this mode). Battery Log: (Press F8 to switch into this mode).